In September 21-23,2018, the Second International Dental Congress Dentsply Sirona World CIS was held in the Moscow International House of Music. This Congress united more than 1200 specialists of dental profile in all directions: prevention, restoration, endodontic treatment, implantology, including a separate unit for clinic effective management. During 3 days, world-known professionals presented clinical lectures and talked about current issues in modern dentistry - from preventive care to implant dentistry. Separate sessions were devoted to orthodontics, dental prosthetics and digitalized dentistry. In September 3-15, 2018 within the program of academic mobility there was a trip VSMU student’s group to the Poznan University of Medical Sciences named after Karol Marcinkowski .This group included 10 students of medical and pharmaceutical faculties. The head of the Department of International Affairs, associate professor of Pediatrics chair Olga Victorovna Matyushchenko headed this delegation. It is necessary to note the thought-out organization of our stay in Poznan from the Polish side: we were hospitably met and put to the hostel «Esculap» which situated in the heart of the university campus. Food, tickets and maps of the city were provided for us. 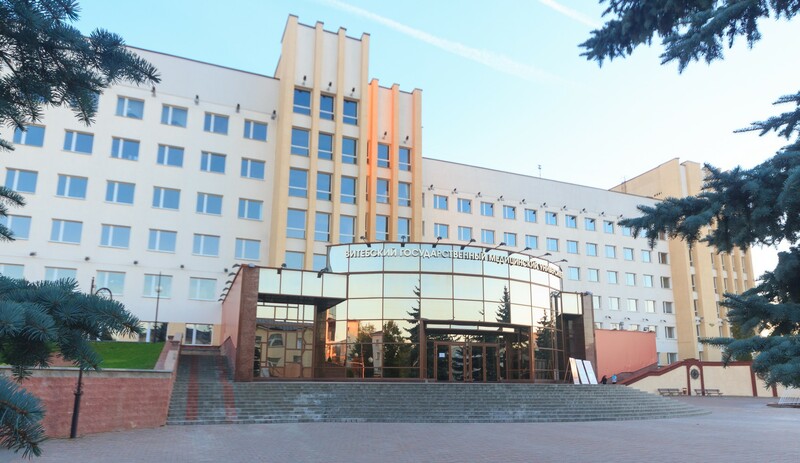 XVIII international conference of students and young scientists "Student’s medical science of the XXI century"
On the 1-2 November 2018, Vitebsk State Medical University will host the XVIII international conference of students and young scientists "Student’s medical science of the XXI century" and as a part of it on the 1 of November 2018 III Forum of young scientific societies will be held. The Council of Student’s Scientific Society (SSS) and the Council of Young Scientists of VSMU invite students and young scientists to take part in the conference. In order to increase the export of educational services to the Lebanese Republic the delegation of VSMU consisting of the Vice-rector of International Affairs and Work with Foreign Citizens M.M. Savchuk and the Head of the Department of International Affairs O.V. Matyushchenko visited this country from 6 to 13 of August 2018. During this trip many official meetings were held with the political and religious elite of Lebanon, our delegation was honored to acquaint opponents with the possibilities and conditions for training of foreign citizens in VSMU, as well as to answer all their questions of interest. Within the framework of the XVIII International Conference of Students and Young Scientists "Student Medical Science of the XXI Century". 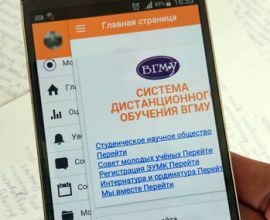 We remind that System of Distance Education (SDE) https://do2.vsmu.by VGMU is integrated with the official mobile application Moodle Mobile for ОС Android (download) и iOS (download). 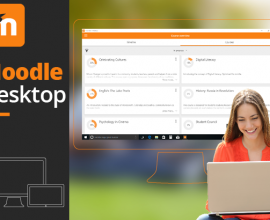 One of the main advantages of the application is the offline access to files, web pages and other resources of the electronic educational courses by disciplines. The application can be used in addition to working in SDE from PC and mobile browsers. Brief instructions for working with the application in Russian.